Downloadable fighter out on day one of E3 2013. Back in April, the Australian Classification Board rated a new game called Tekken Revolution. 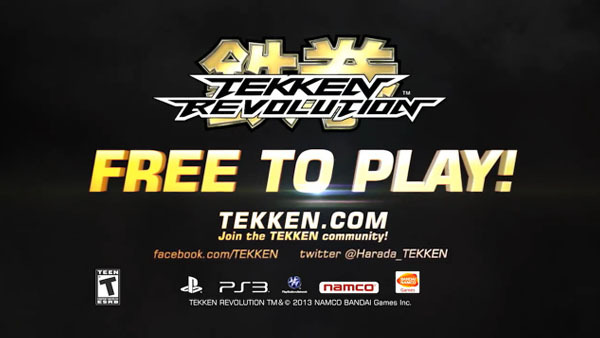 Today, a GameSpot E3 preview reveals it to be a free-to-play Tekken game coming to PlayStation Network this Tuesday, June 11. Watch the 20-second teaser trailer here at 19:30.